(Victor Valley)—The news is everywhere- Deadpool has smashed so many records with its $135 million dollar opening. Taking the crown for not only this weekend, but for Valentine’s Day weekends and rated R openings as a whole, the merc with a mouth was laughing all the way to the bank, as the $58 million dollar budged film just made all kinds of history. But how did a hard rated-R film about an offbeat and vulgar anti-hero reach the Promised Land? More than a super hero film- Yes, Deadpool can technically be branded a super hero (he is currently a card carrying member of the Avengers in the comic books), but let’s face it, Deadpool is no boy scout like Captain America or Spider-Man. Deadpool brings the comedy to the forefront, and it is very fitting for who this character is. This isn’t a “save the day, learn a life moral” type of film, thankfully, and I think fans everywhere love that. Source Material- Deadpool, in the comic book universe, is a hired mercenary, one with a motor mouth, voices in his head, and is known to break the fourth wall by “talking” to the readers. This aspect of Mr. Pool is displayed perfectly in the film, and it never comes across as forced. The film kept the essence of Wade Wilson- from his never wavering humor, his short temper, and his somewhat tragic origin, its all here. Even comic book staples like Blind Al, Weasel and Bob (Yes! Bob!) 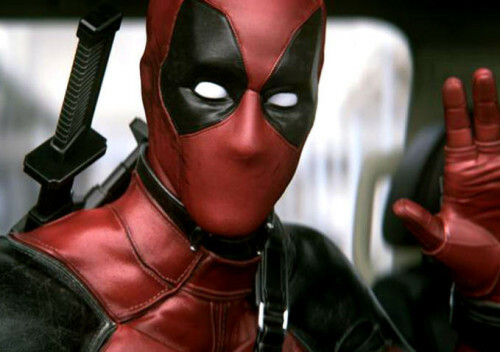 make it on the silver screen, helping to create the Deadpool cinematic lore even further. X-Who?- Incorporating the X-Men into this film had to be a challenge, as the merry mutants have had a plethora of films already, some which are outstanding, some which are downright bad, including X-Men Origins: Wolverine, which is the first time we saw Ryan Reynolds as Deadpool in some form. Having Colossus and Negasonic Teenage Warhead (yes, she’s a real character in the comic books) in the film showed us some form of what the modern day X-Men look like. This has to be great news for Fox, as they have been focusing on the X-Men in the past rather than the present lately. Let’s keep the Russian do-gooder and his teenage protégé next time, and expand with some more mutants donning the x-suits. Ryan Reynolds- Since the film Waiting…, I have been a huge fan of Reynolds. His performance of Wade Wilson in X-Men Origins: Wolverine was the one bright spot of the film, until they took the character in a horrible direction. Reynolds always remained hopeful that he would get to play Deadpool in a feature film, even after he donned the power ring as the Green Lantern for DC. Reynolds personality, his brand of humor, this is what makes Deadpool come to life. I couldn’t see another actor donning the crimson pajamas, and after the record breaking opening weekend the film had, I don’t think Reynolds is going anywhere. So what’s next for Deadpool? We saw that Cable looks to be a lock for the sequel, but who will be the big bad for the film? I think Taskmaster would be epic- as the two have fought plenty of times, and even teamed up here and there. Or maybe we see more like the storyline from the first ongoing Deadpool series: where the hulking T-Ray aims to end Wilson’s life, and Deadpool loses far more than he bargained for. Even Stryfe could be involved, connecting Cable to the cinematic universe.